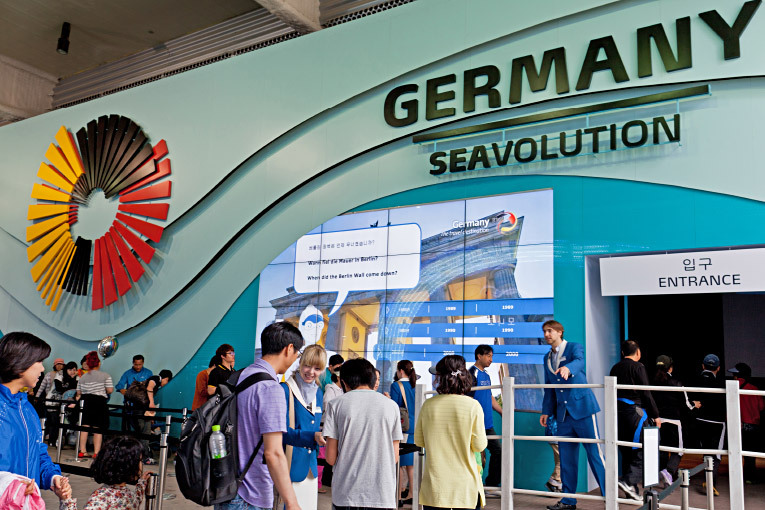 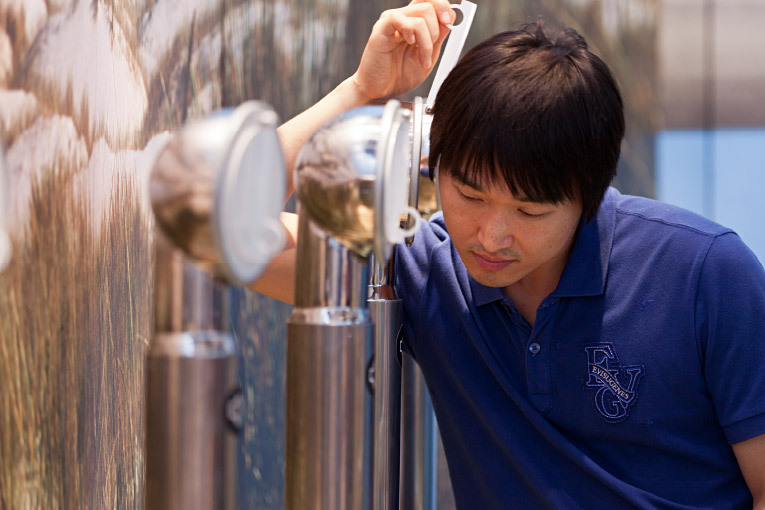 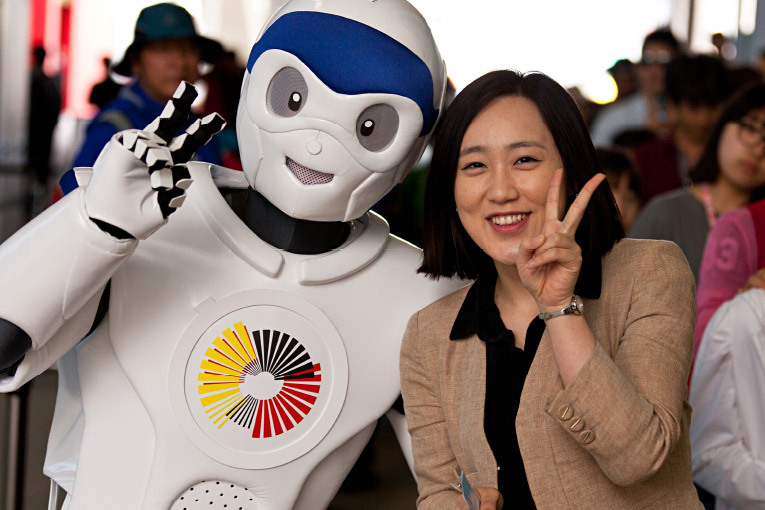 The theme of the German pavilion at Expo 2012 in Yeosu Korea is “Seavolution”. 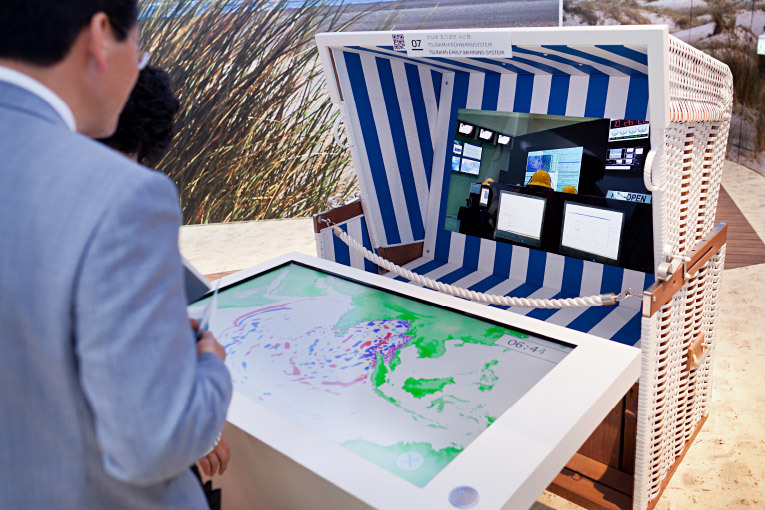 Germany presents ground-breaking innovations on the Expo theme of “The Living Ocean and Coast”. 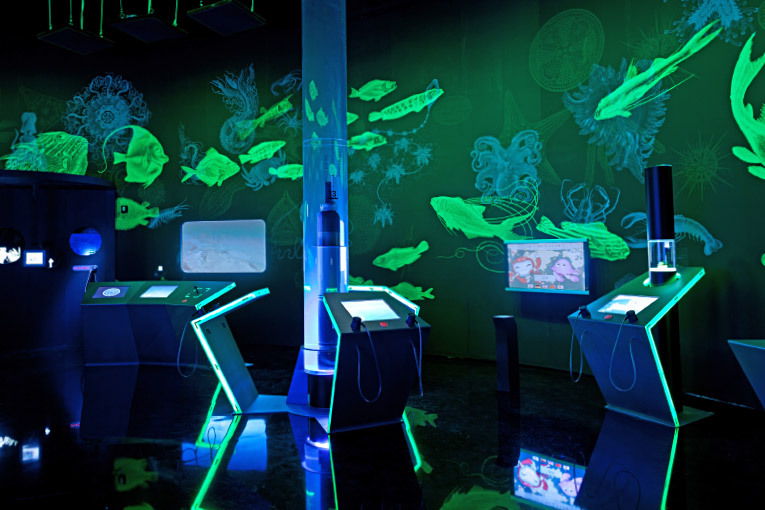 Visitors are able to experience the subjects of “Coasts”, “Habitats” and “Treasure chamber” in 20 interactive exhibits. 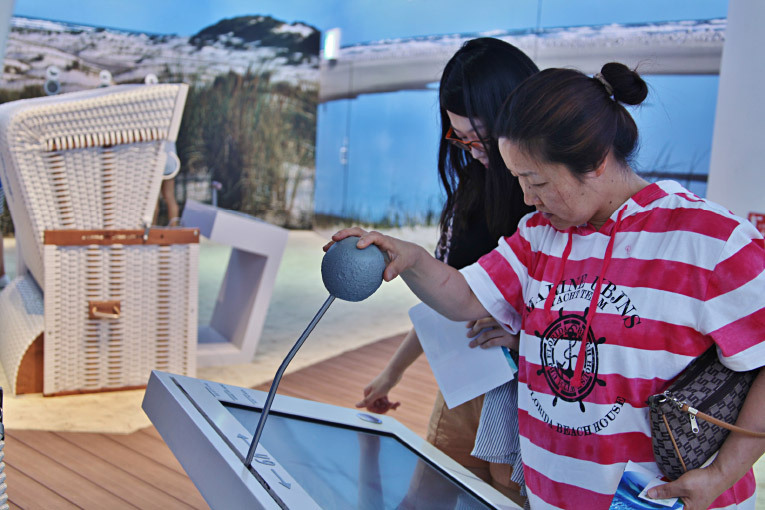 Numerous hands-on installations provide visitors with information about tsunami early warning systems, deep-sea observation, methane, etc. 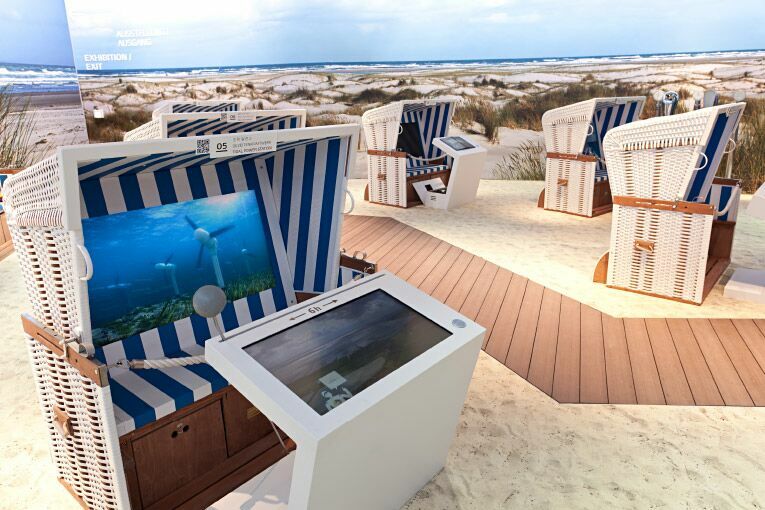 In multimedia wicker beach chairs, they can explore the coast and in the Habitat area embark on journeys of discovery through the unfamiliar underwater world and fish in a sustainable way. 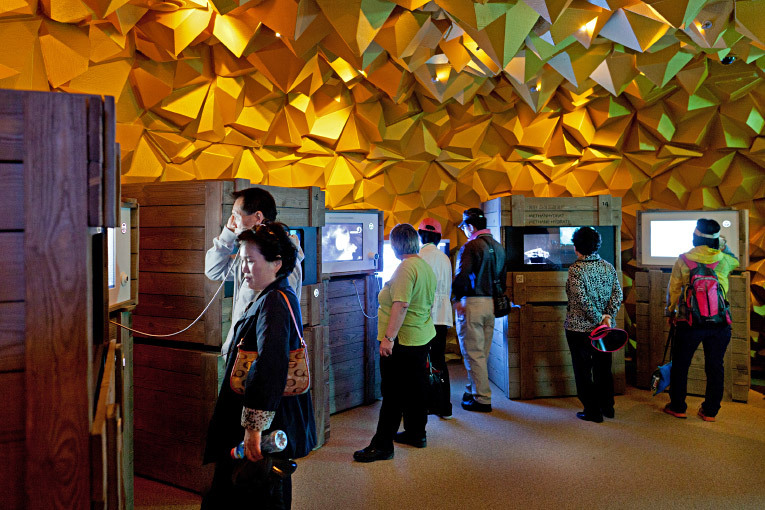 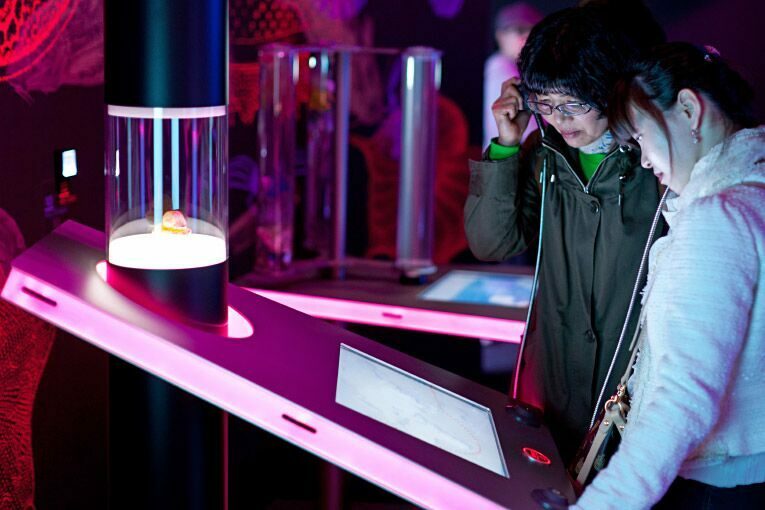 In the golden treasure chamber, precious marine resources are presented in wooden treasure chests.